Dark Horse published the first issue of the Classic Star Wars comic series on this day in 1992. 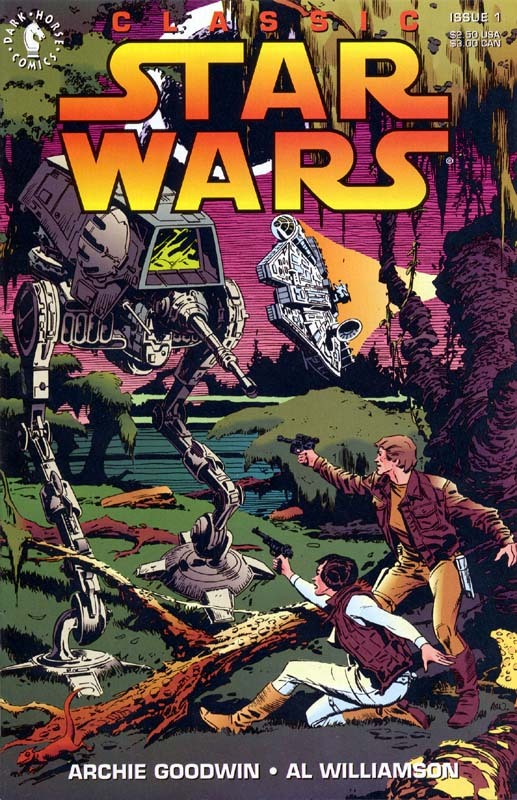 This particular Classic series was reformatted and colored reprints of the Star Wars daily newspaper strip by Archie Goodwin and Al Williamson from the early 1980s. The events in this first edition take place between Star Wars: Episode IV - A New Hope and Star Wars: Episode V - The Empire Strikes Back and each of the issues was jam-packed with action. Luke and Leia embark on a scouting mission and are pursued by imperial troops before falling into the clutches of a bounty hunter whose real target is Han Solo. Who remembers reading this comic series? Let us know your thoughts in the comments below.